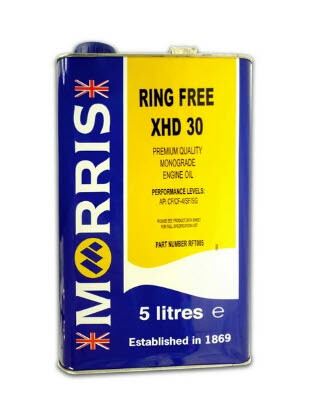 Ring Free XHD 30W Premium Quality Monograde Engine Oil, high levels of detergency/dispersancy to reduce combustion chamber deposits and ring sticking, as well as preventing excessive soot thickening. This grade will protect from wear, rust and corrosion. Performace Rating's API(CF/CF-4/SF/SG), ACEA(E2).